It’s a busy Friday in the Funk Zone next week. Wall Space, The Arts Fund And GONE Gallery will hold events simultaneously. For all the details on the Wall Space event, see below. Artist Reception Friday, April 5th from 6:00-8:00 p.m. Artist Talk Saturday, April 6th from 2:00-3:30 p.m.
Santa Barbara Museum of Art – Thursday April 4th 5:00-8:00 p.m.
wall space gallery is pleased to announce Jardin, a two-person exhibition that features work by represented gallery artist Ryuijie and guest artist Janelle Lynch. Each artist brings a unique perspective to the flora that surrounds us. Ryuijie’s newest work, Color Ice Forms, are stunningly intimate and richly colorful macro visions of blooms and branches encased in ice. Their vibrant hues contrast and compliment the textures of Janelle Lynch’s landscapes from Mexico City and Chiapas. In these quiet views of overgrown play areas and hidden gardens, Lynch invites the viewer in to discover these virtually unknown wonderlands. It is from Lynch’s work that we also connect to the contemplative spaces that exist not only in Mexico, but in our own backyards. Her work investigates different facets of the life cycle through the urban and rural landscape: loss, death, regeneration and life. The exhibition will be accompanied by an artist talk by Janelle Lynch on Saturday April 6 from 2:00-3:30 p.m. Prior to the artist talk Janelle Lynch will be signing copies of her first monograph Los Jardines de México at the Santa Barbara Museum of Art, 5:00-8:00 p.m. All events are free and open to the public. Ryuijie Douglas, born in Otaru, Japan in 1950. As a young child Ryuijie moved with his family to the US and subsequently lived in many places, from Hawaii to New Hampshire, and again in Japan, until his father retired from the military. Throughout his childhood, he showed a serious inclination for the arts. This interest began to materialize during his own military service. While stationed in Guam, Ryuijie learned underwater photography while pursuing his long-time interest in scuba diving. After his tour, he came back to the Monterey Peninsula where he attended college and began a successful career in lithography. It was in Monterey that an exhibit of Jerry Uelsmann’s photographs inspired him and propelled him into the practice of fine art black and white photography. Ryuijie has steadfastly pursued his own photographic vision for over thirty years, and has acquired a reputation for his exquisite platinum/palladium prints, in addition to his traditional black and white work. His work has appeared in View Camera, Photovision, Camera and Darkroom, Black & White, Lenswork, and Focus magazines. He has published three booksRyuijie: Photographs, Time and Place, and Fragments of Time, along with smaller catalogs. His first portfolio Ryuijie: Ten Photographs was published in 1990 and his second portfolio Ryuijie: Portfolio Two Platinum/Palladium was published in 2002. In October 2005, Ryuijie returned to his first love—the landscape—and abstraction, creating panoramic visions of the natural world. Works by Ryuijie can be found in private and public collections worldwide including the Getty in Los Angeles. Janelle Lynch, born in Jamestown, NY in 1969. Lynch has garnered international recognition over the last decade for her large-format photographs of the urban and rural landscape. She received an MFA in Photography from the School of Visual Arts in New York. She teaches at the International Center of Photography in New York and is a 2013 Artist-in-Residence at the Burchfield Penney Art Center in Buffalo, NY. Lynch, also a freelance writer, is a 2012-2013 Fellow at The Writers’ Institute, CUNY Graduate Center, New York, NY. 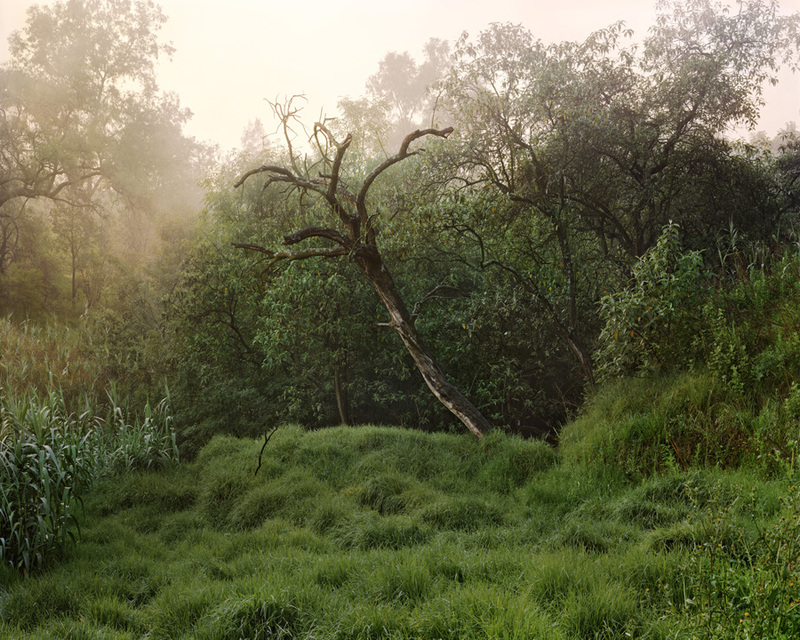 Janelle Lynch: Los Jardines de México is currently on view at the Southeast Museum of Photography, Daytona Beach, FL. Lynch’s River series is also currently on view at the Newark Museum, Newark, NJ. She has exhibited at the George Eastman House Museum, Rochester, NY, Festival International de Mode et de Photographie à Hyères, Hyères, France; Foto Rio, Rio de Janeiro, Brazil; Photographic Resource Center, Boston, MA; and Museo Archivo de la Fotografía, Mexico City, Mexico. Her work is in several public and private collections, including the George Eastman House Museum, Rochester, NY; the Brooklyn Museum, Brooklyn, NY; Fundación Vila Casas, Barcelona, Spain; Museo de Arte Contemporáneo, Salta, Argentina; Burchfield Penney Art Center, Buffalo, NY; and Museum of Photographic Arts, San Diego, CA. Her first monograph, Los Jardines de México, was published to critical acclaim by Radius Books in 2011. Janelle Lynch: Barcelona, is forthcoming by Radius in Fall 2013.
wall space gallery first opened in Seattle, Washington in 2005. Our focus is on new artists and expanding the ideas of what photography is as well as what it can be. Our artists are craftsman, using photography as an integral part of their work, but layering emotional stories with techniques and processes that enhance the visual experience. The gallery has gained an international reputation for finding and showcasing new artists and exposing new ideas. Gallery hours: Tuesday–Saturday, 11:00 a.m.-5:00 p.m.; Sunday 12:00-5:00 p.m.
Thursday, April 4th, 5:00-8:00 p.m.